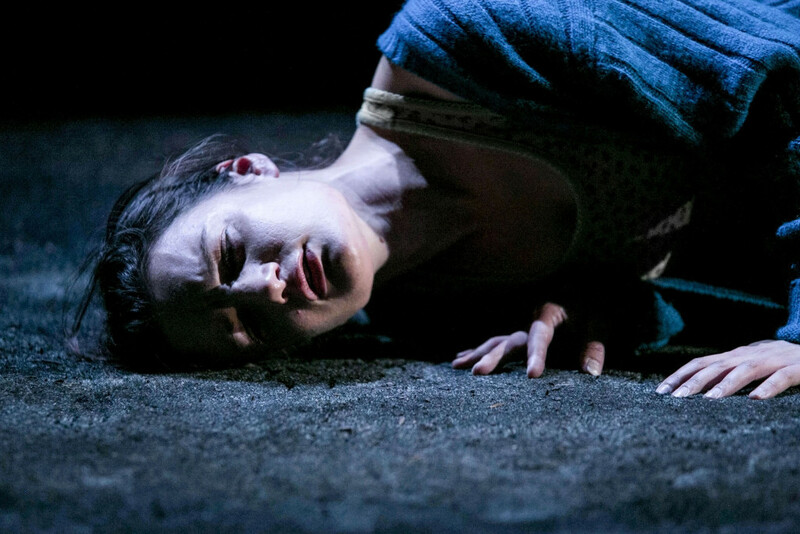 There’s a nice congruity about A Girl is a Half-Formed Thing’s world premiere being at the Samuel Beckett Centre two years ago because the influence of Beckett runs through it like a seam of rock – under the surface but indisputable, undeniable. The story of how Eimear McBride’s award-winning novel came into the world would probably make a playlet all of its own. As it is, Annie Ryan’s Corn Exchange production, first seen two years ago as part of the Dublin Festival, revived for last year’s Edinburgh Fringe and soon to make its US debut, is as exceptional and stunning as was Olwen Fouéré’s riverun two years ago in this same theatre. The Irish have such a way with language, a rhythm seldom caught on our more prosaic English mainland. Reading Annie Ryan’s adaptation of McBride’s broken sentences you can only marvel both at Aiofe Duffin’s capacity to absorb its sounds and the darkest places she is forced to follow in its inner-voice narrative of a young girl/woman. From beginning to end, she is one alone, a rebel and individual in a world clamped down by Catholicism, poverty, family illness and abuse. In a twist of fate, she turns that abuse into her armoury – a way of escape and punishment, independence and self-destruction. Nothing beautiful in its brutal fact, yet Duffin and Ryan with the lightest of touches in lighting and sound (all is slightly indistinct, the setting as though in a stable) create a terrible kind of beauty. In possibly the most extraordinary performance of the year, Duffin proves yet again that less is so often more. Dressed in pyjama bottoms and t-shirt, through 80 uninterrupted minutes, she metamorphoses effortlessly from new born sister, to older, very sick brother, to struggling mother, kindly but abusive uncle and on, with merely a twitch of the shoulders or subtle voice change. With lips sometimes seeming to scarcely move, the meanings are nonetheless clear: desperation, sadness, sexual hunger, anger and a strange kind of loving all meet, coalesce and part within that slim Duffin frame. Not many glimmers of hope in this monologuic stream-of-consciousness but a furious and delicate witnessing is born. 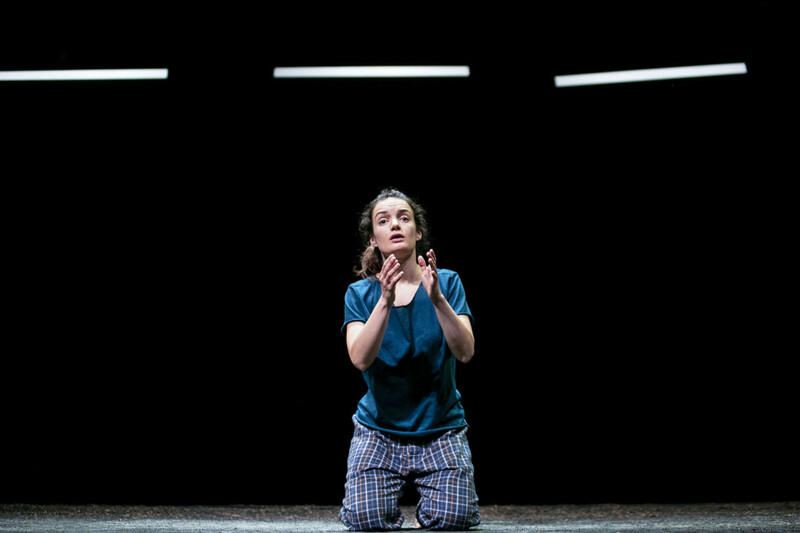 This entry was posted in 2016, Reviews and tagged a girl alone, Annie Ryan, Aoife Duffin, Corn Exchange, Dublin Festival, Eimear McBride, rural Ireland, Samuel Beckett, Young Vic Theatre on February 22, 2016 by Carole Woddis.